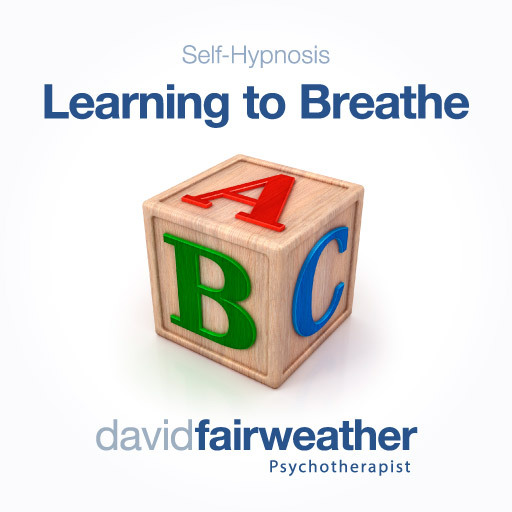 If you suffer from anxiety, stress, tension, or are in need of learning to breathe more calmly in order to stimulate a RELAXATION RESPONSE this self-hypnosis resource is for you. What you might not know, is that as an adult (and definitely if you are an anxious adult) you’ve probably assimilated a very chest dominant anxious way of starving your lungs of all the oxygen they’d like. If you don’t give your lungs all the oxygen they want, need and deserve, they will make you pay for it by letting you feel the anxious consequences. You are better off treating your lungs to a good, deep belly full of air so that you can be rewarded with feelings of calm relaxation. Whether you call it “Belly Breathing”, “Abdominal Breathing”, “Diaphragmatic Breathing” or “Relaxation Breathing”, it is the single most useful thing you can learn to do in your quest to conquer stress and anxiety. Like my other resources, this track also has a sleep version that means you can use this at bedtime if you need a little convincing to slip into slumber and you don’t want to rely on medications. Treat yourself to a good dose of oxygen instead, your brain and body will thank you for it. A hypnotic exercise in achieving a great depth of relaxation using your breath, featuring the hauntingly beautiful music of the very talented Mr Ron Zabrocki.